We’ve only just had the Pixel 2 and Pixel 2 XL, but it’s likely Google is already working on the Pixel 3 and there’s now some evidence of that. In fact, there’s evidence that Google is working on three new handsets. According to Droid Life, a “trusted source” who’s provided them with accurate Pixel information in the past has said that models codenamed “crosshatch”, “albacore” and “blueline” are all in the works for 2018 and that two of them will be considered premium, while one will be thought of as high-end. They don’t clarify what that means, or which of those designations is the most top-tier, but if accurate it sounds like Google could split its range up in a similar way to how Apple has this year, with one top-end handset and two others slightly below it. Droid Life has apparently been sitting on this information for a while, waiting for more evidence, which it found in the form of a comment on an AOSP (Android Open Source Project) listing, which mentions crosshatch. There’s been no mention of albacore or blueline yet, but the same listing names “wahoo”, which as with all Google’s Pixel codenames is a type of fish. However, XDA Developers reports that this is a reference to the unified kernel for the Pixel 2 and Pixel 2 XL, rather than being yet another new device. 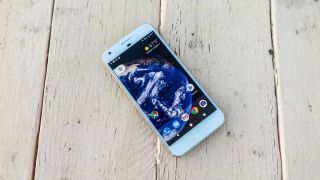 As for crosshatch, albacore and blueline, they could well all be Pixel 3 models, but it’s early days, so they might not all launch, especially as three Pixel 2 models were for a while rumored, yet only two arrived.